Grant Broadcasters-owned Hitz 93.9 FM in Bundaberg is a prime example of the importance of prioritising localism when it comes to running a regional radio station in Australia. The station has rated #1 for the last three years, and remained so in the most recent survey results for the area released just last week. This is despite stiff competition from Australia’s biggest radio network in Southern Cross Austereo, who recently rebranded their offering in the region from 93.1 SEA FM to Triple M Bundy. Despite its vast resources and dominance across many other regional markets, SCA still hasn’t managed to take the top spot in Bundaberg away from Hitz. So what’s the Hitz 93.9 FM secret? General manager Naomi Edwards says the key is the group of people at the station, who all genuinely have the best interests of the community at the heart of what they do. “I think it’s all about the people, and the people wanting to be here,” she tells Radio Today. “It’s a team effort from the reception, right through to sales and the on-air. It’s the whole lot. They talk together, pretty well do everything together to get behind what it is they want to do. “We do a lot for the community,” Edwards continues. “We have major events we put on as Grant Broadcasters for the community. 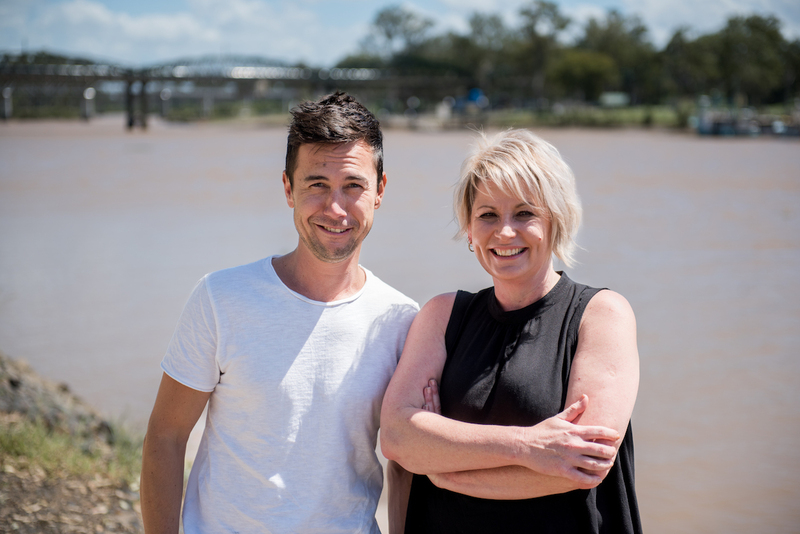 All the key shows are broadcast locally out of Bundaberg, which allows Hitz to reach a level of localism that stations with multiple networked shows find it tough to match. “We do the big stuff and the little stuff,” Edwards says. It doesn’t hurt having staff who’ve been in the market for a long time. Breakfast host Trace has been at Hitz for a decade now. “We all think we’re unique, but they fit in. They’re there for a reason and we welcome them. It’s a team and that’s the way we work. “We all get along, we all have a laugh, we know when we have to put our heads down. Localism is something also constantly on the minds of Breakfast team Matty and Trace. “Local is always top of mind,” says Matty. “We don’t have a rule about a set amount of topics per day, so when we do it, it very real organic and the content choice always sits comfortably in the show. “With Matty playing local sports and getting bowled out by 14-year-old girls, local content sort of writes itself,” adds Trace. “Hitz is the hub for any emergency and the locals trust us to give them the right information. “As soon as something happens in town we get phone calls and facebook messages asking do we know what’s going on. The success of the station is in no small part due to being part of the Grant Broadcasters network; a unique, family owned and run entity. GB remains incredibly strong in regional and rural areas throughout the country. Naomi believes one of the key reasons for this strength is that Hitz 93.9 is much more than just a number to its owners. “You’re not number, you’re a person and they treat you that way,” she says. “I love working for Grant Broadcasters because they are family-owned. “They know us all, they will pick up the phone, you can talk to the owner of the company, the network, the board, the CEO, they will welcome you when you move a market. Carol, some say “filth” some say real life experiences. As an ex-employee of SCA, I’d be surprised if this doesn’t start happening across the country. To SCA you feel like a number and are treated as such. Shame, if they really looked after their staff they wouldn’t lose so many to the competition and if they listened to their audience we wouldn’t have a national drive show with two hosts outside of the target demographic, it’s just weird. Something about grant, as an Ipswich resident, local station River 94.9 it’s the same deal, live, local and involved. Like a community based commercial station. River can’t rate officially but if they could I’d guess they’d own Ipswich, most of Toowoomba and the west of Brisbane.